Canvas has become a generic term for an industrial fabric and covers many product areas. Canvas can be in a raw form, untreated and uncoated and is called loomstate canvas. It can be used in bags, as art canvas, market umbrella covers, cushion covers and so on. You’d be amazed at how much canvas is used in your everyday life! It comes in different “weights” and is commonly used in swags, tents, bags, trailer covers, truck canopies, ground sheets, tool wraps and dog beds. We can supply manufacturers of these products with the right canvas for your needs, just contact us. Associated to Proof Canvas is camping and tent canvas. This type of canvas is commonly used in caravan annexes, tents, swags, and so on. The large portion of this camping canvas range is striped on one side but there are also plain colours available. If your needs are flexible, we can often supply tent canvas by the metre. 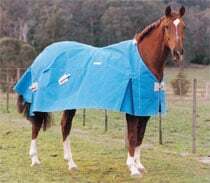 Horse rug canvas is a more specialised area and includes both loomstate canvas for summer rugs and waterproof canvas for winter and wet conditions. Depending on your needs, due to the specialised nature of horse rug canvas, we generally only sell this class by the roll. Today’s canvas is generally made from a polyester/cotton mix to keep the weight down, while maintaining optimum strength and durability. In the loomstate range we have 100% cotton canvas available, but not all weights are available as cut to length. Our warehouse is located in Regency Park, Adelaide. 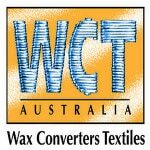 We have been a wholesale canvas supplier in South Australia since 1995. We supply full rolls and cut length canvas to businesses in Australia and New Zealand. LOOMSTATE canvas, particularly 100% cotton, will not be pure white, by nature of the yarn used, it is more an off white or cream. Available by special order in full rolls is scoured or bleached canvas, minimum quantities will apply. Double-Primed Artist Canvas is coated with an acrylic base formulation to ensure maximum protection against any traces of harmful impurities that may develop over the years as a result of ageing. To achieve this, a neutralizing agent is included to absorb any traces of acidic compounds. The whiteness of the canvas is enhanced by the use of Titanium Dioxide pigment of the highest purity. The material analysis of this pigment serves as a guarantee that it is free of any by-products that could affect the long-term durability of the cotton base. COOLABAH: Is a superfine polyester / cotton “Japara” quality tenting fabric. It has been especially designed and developed for the continental and family-style frame Tent, for both roofs and walls. Coolabah is also recommended as a high quality walling for campervans where a large amount of fabric can be folded into a tight compact area. Billabong is a very tightly constructed fabric as it is woven from fine yarn counts. Billabong is designed specifically for higher quality family frame tents and campervan roofing and walling. DX12: Is a medium weight, general-purpose blended polyester / cotton canvas which is especially suitable for a wide range of applications. These include: swags, marquee and tepee roofs and walls, temporary shelters, under tarpaulins, box-trailer covers and heavy-duty campervan roofs and walls. DX12 is also perfect for annexe roofs in semi-permanent situations, as well as high quality family marquee roofs and walls. Colours: Antelope, Beige, Black, Blue, Brunswick Green, Green, Dark Green, Grey, Lt. Grey, Maroon, Khaki, Navy, Lt. Sand, Olive, Olive F/R, Aus Cam D.P. BULLDUCK T.T. : Has a Tearstop construction with Terylene/Cotton corespun threads woven throughout the fabric. These threads are woven in both the warp and weft directions to reinforce the tear and tensile qualities of this very strong canvas. The fabric is designed specifically for very large semi-trailer truck tarpaulins where extra strength is required. CS12 T/S is 100% Corespun. This ensures that the fabric is suitable for any situation where great strength is required. The fabric is designed specifically for larger type tarpaulins. CANNONBALL: Is a medium duty, general purpose budget priced Cotton Canvas recommended for static situations including, Swags, Marquees, Teepee roofs and walls, Temporary Shelters, secondary Under-tarps, Flat Sheet Box-Trailer Covers. Cannonball is not recommended for shaped or fitted covers unless careful consideration is given to the shrinkage factor associated with a 100% Cotton Duck. CD15: Is a 100% Cotton Canvas which is suitable for similar applications to Cannonball. These include: Swags, Marquees, Tent Roofs and Walls, Temporary Shelters, Under –tarps, Box–Trailer Covers and Non-Permanent Annexes and Walls. CD15 is designed to provide manufacturers with an alternative to Cannonball, where extra weight and strength is required. The Hydrostatic Head and Cone Test would indicate that the fabric is perfectly waterproof. However, being a 100% polyester fabric, we suggest that this fabric is only to be used as a shower proof summer sheet for horse rugs. The base fabric is woven with either blue or white (self colour) checks. Rawhide is a strong, tough, general-purpose blended polyester / cotton canvas incorporating an attractive blue-dyed yarn overchecked to enhance the Tearstop construction. The material is specifically designed for horse rugs. Trojan 18 is simply the heaviest and toughest of all wide width horse rug fabrics. Trojan 18 is a tearstop construction blended polyester / cotton woven with black dyed warp and weft yarns.